This is one of my newest favorite foods (no you won’t be able to log into my accounts with it. I started off with the curry cauliflower one which is so good I added it to every meal and burger for the last few weeks and just popped this one open to go with my taco salad and it is delicious! I have to say I do tend to like fermented veggies- and yet I’m pretty picky. 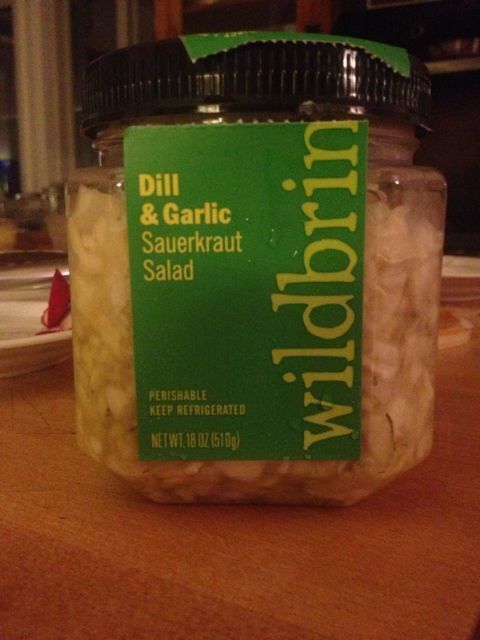 My other favorite raw sauerkraut is Bubbies. I don’t make my own yet- I’ve tried kombucha making- it’s not hard it’s just that sauerkraut is more likely to make it to my plate (and not be forgotten to turn into an alcoholic mess in a corner) if I just buy it- so here’s to another delicious “real food” that someone else made for us!